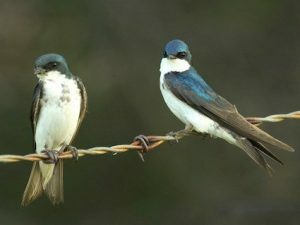 The Tree Swallow is a two-toned medium size swallow with dark upper parts and pure white undersides. 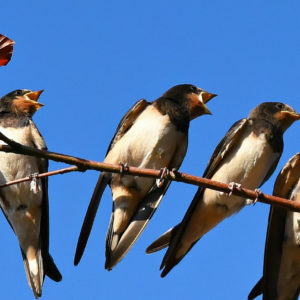 They are migratory visitors to southern Ontario, arriving before the other swallow species in late March and staying a bit later – well into late September. 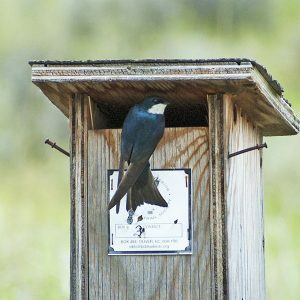 So keep an eye out for the species this week before they migrate for the winter! This episode aired on Saturday September 24th, 2016.